Our new Lena Larose Gold Collection is extra special because it comes straight from the source to you. 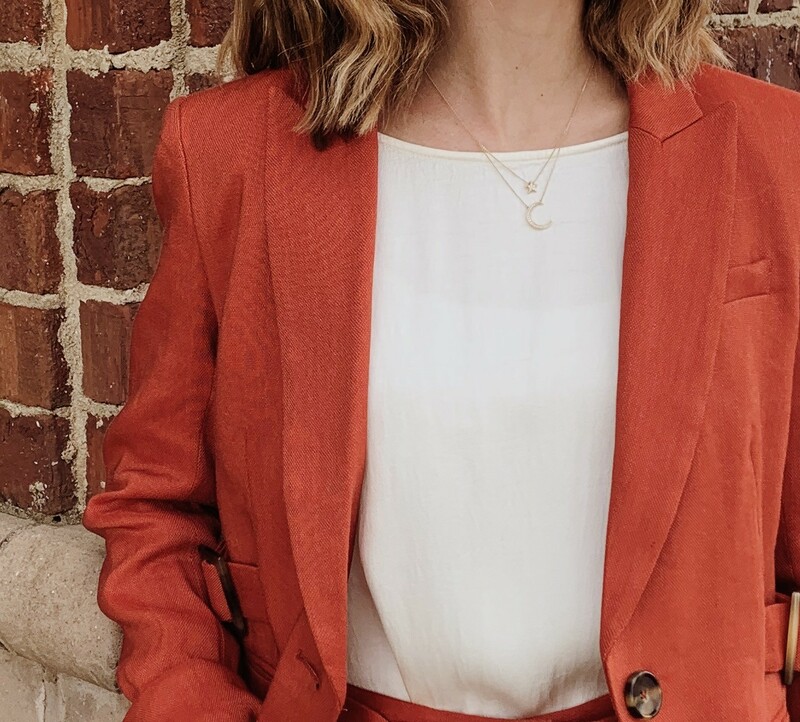 The 14k Gold Collection is composed of unique pieces made from incredibly high quality gold that doesn't have the "market" mark-up you may see on most other 14k designs. 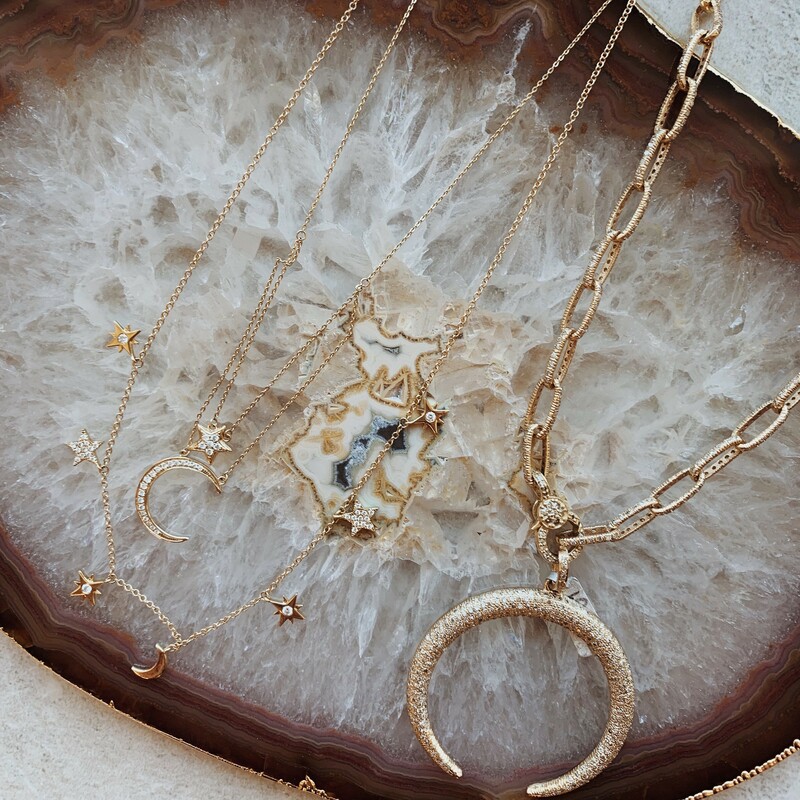 We are so proud to be able to bring you this new collection of incredible gold pieces! Many of the pendants from the collection are made of mixed metal which gives you more styling versatility and options. Most of them also have dazzling pave details that truly enhance the appliance of the gold and make the pendant even more special. Our gold chains are just as special too. We took one of our style chains, the paperclip, and made it in 14k gold for the perfect compliment to any of the new pendants. We even did an extra special gold paperclip chain with pave , it's truly eye-catching!! With this new collection we also wanted to introduce more dainty pieces of jewelry! 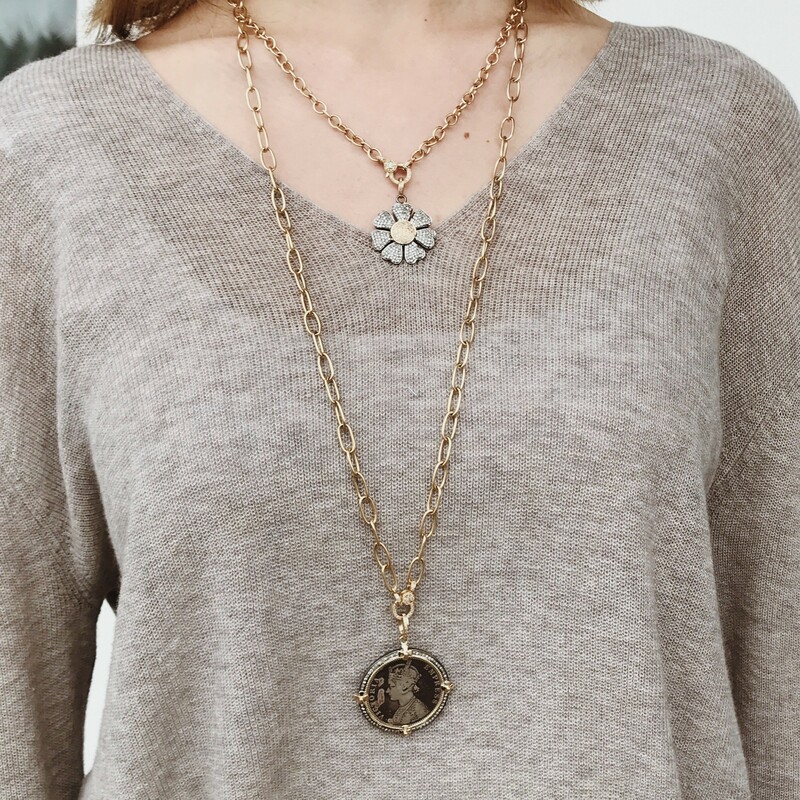 These daintier pieces are great for layering or are an easy way to add a touch of jewelry to your day to day wardrobe. The charm-like styles have become a staple trend in jewelry and we are loving how simple and effortless they look, especially these small stars and moons- each with a unique diamond or pave detail added to them! The perfect complement to any of our gold or mixed metal necklaces would be one of our three bangles that are also a part of the collection! 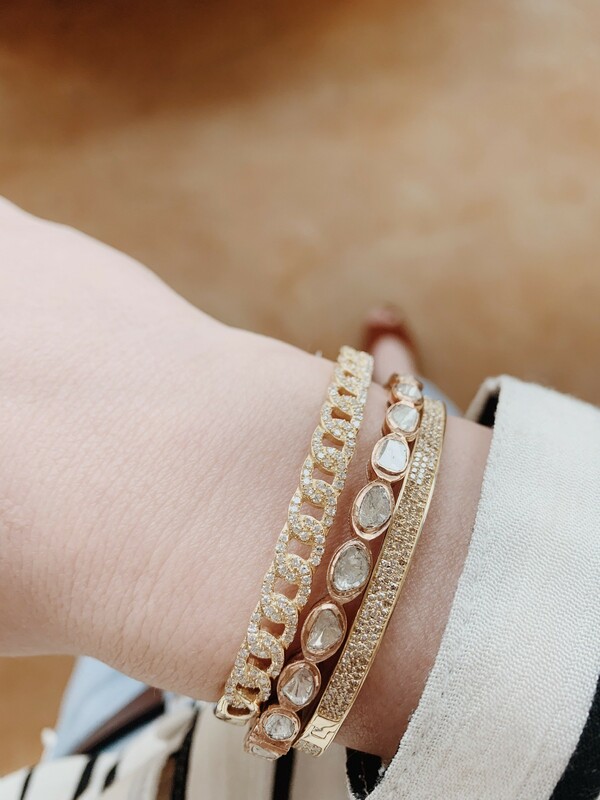 We wanted to offer a few different bangle styles and did so by including a simple pave bangle, a pave chain bangle, and a rose gold bangle with rose cut diamonds. They are each 14k gold and offer unique details as single statements or look amazing all stacked together! 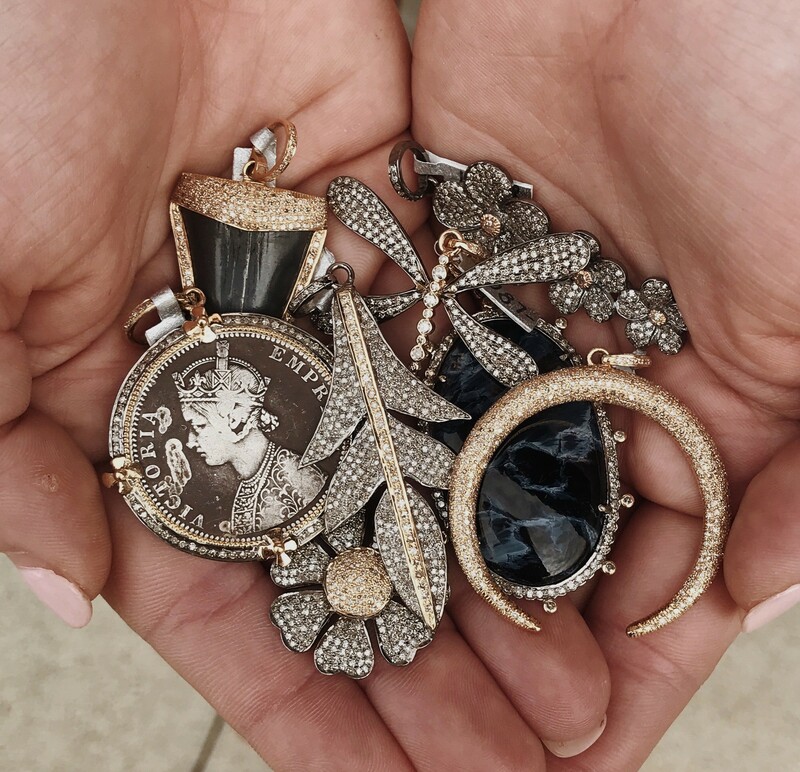 You truly can't go wrong with any of these stunning pieces. 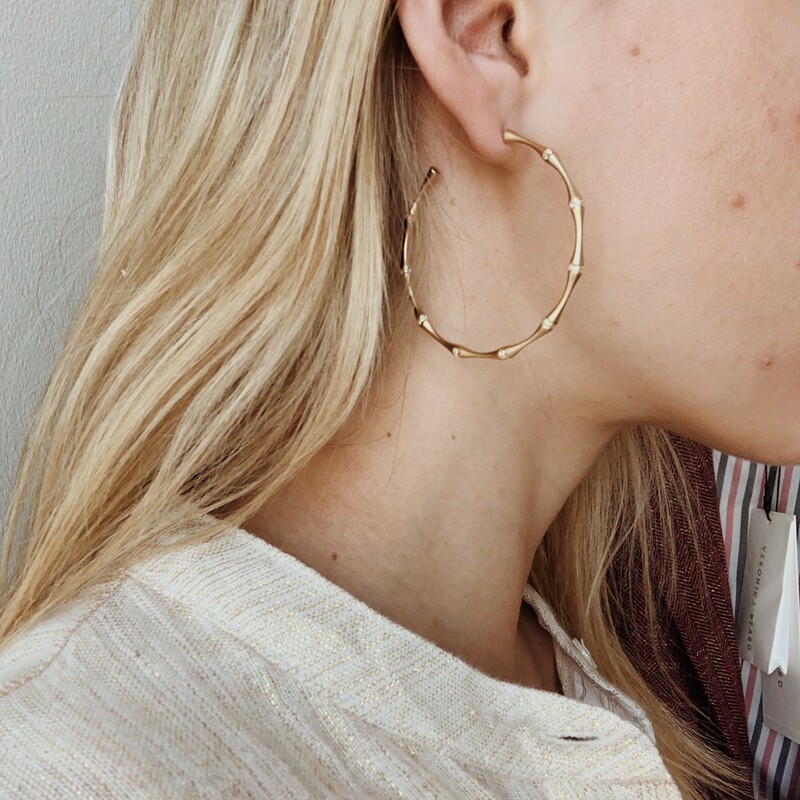 Our "final touch" pieces are the Bamboo Hoop Earrings and the Evil Eye Ring. Again, these are each 14k gold and have pave and diamond details unique to them! Each evil eye on the ring is pave diamonds set in gold with a small rose cut diamond as the center. The hoops also have pave diamonds and they are placed between each rung, to give a real bamboo like shape with a little sparkle from the diamonds. 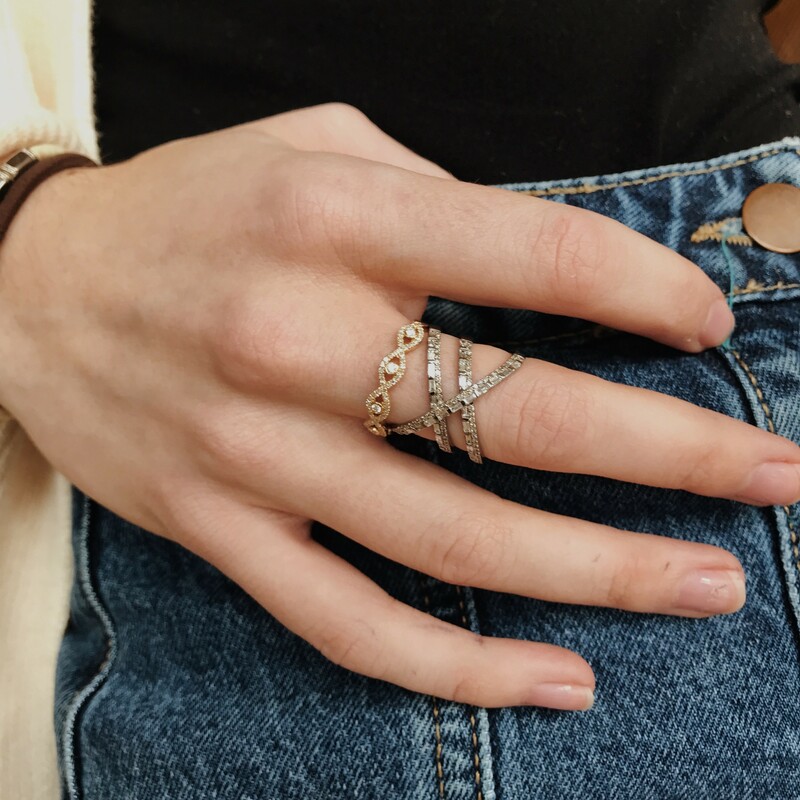 The ring is perfect for stacking and even looks great mixed with other metals, while the hoop easily makes a statement all on its own! We can't wait for you to start shopping our new Lena Larose Gold Collection, in-stores and online now!